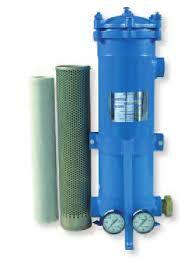 Kaydon Filtration has been a leader in fuel and oil conditioning systems for more than 70 years. 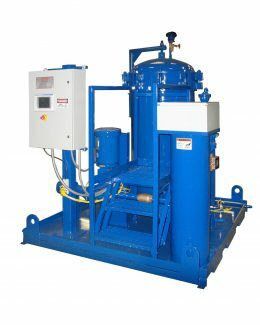 As a leader in liquid separation, Kaydon offers a variety of product solutions to meet all your filtration equipment needs. Kaydon products are critical to the successful operation of many industries including: power generation, fuel refining, petrochemical, military, construction, agriculture, mining, marine and emergency power generation. Turbo-TOC® KL oil conditioning systems quickly and efficiently remove harmful water, particulates, and other contaminants from turbine lubrication oils. KL1 1 Gallon Per Minute Turbine Lube Oil Conditioning System for reservoirs up to 200 gallons. Removes particulate down to an ISO Code of 16/14/11 and water removal to 100ppm or less. 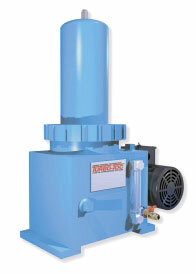 KL5 5 Gallon Per Minute Turbine Lube Oil Conditioning System for reservoirs up to 600 gallons. Removes particulate down to an ISO Code of 16/14/11 and water removal to 100ppm or less. KL10 10 Gallon Per Minute Turbine Lube Oil Conditioning System for reservoirs up to 1,200 gallons. Removes particulate down to an ISO Code of 16/14/11 and water removal to 100ppm or less. 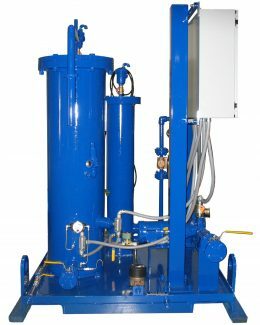 KL30 30 Gallon Per Minute Turbine Lube Oil Conditioning System for reservoirs up to 3,600 gallons. Removes particulate down to an ISO Code of 16/14/11 and water removal to 100ppm or less. 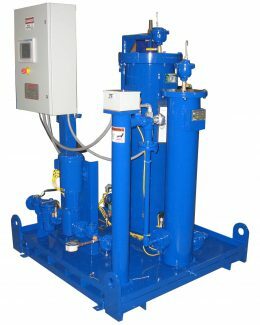 KL60 60 Gallon Per Minute Turbine Lube Oil Conditioning System for reservoirs up to 7,200 gallons. Removes particulate down to an ISO Code of 16/14/11 and water removal to 100ppm or less. KL100 100 Gallon Per Minute Turbine Lube Oil Conditioning System for reservoirs greater than 7,200 gallons. Removes particulate down to an ISO Code of 16/14/11 and water removal to 100ppm or less. 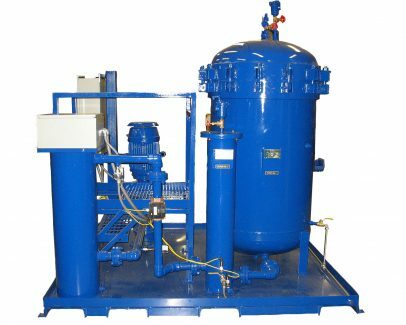 Kaydon’s Vessels and Assemblies are designed for high quality performance and reliable removal of water, particulate, and other contaminants from turbine, lubricating fluids and fuels. The Kaydon brand includes Oil and Fuel Particulate filter vessels. Vessels are offered in high-grade steel ASME construction, designed for in-line applications requiring rugged construction and long term durability. 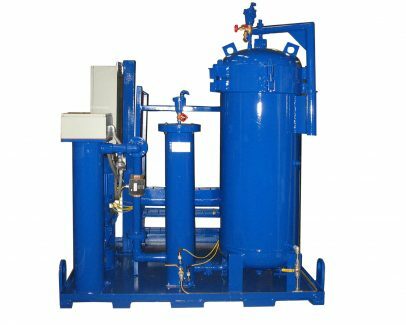 Operating conditions such as repeated shock, high and continued vibration do not affect the filter casing or the secure seating of its internal parts and filter media. 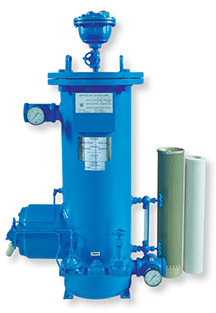 The model 121A filter / separator is a sturdy, compact unit, constructed of aluminum. This filter is designed to filter particulate and separate water from light viscosity petroleum products such as aircraft fuels and diesel fuels. Fuel/Water Separator Vessels – Designed and constructed in accordance with ASME Code, Section VIII (“UM” Stamp”). For use in Jet fuel or Diesel Fuel applications. VKS-1 series vessels are of all steel ASME construction designed for in-line applications requiring rugged construction and long term durability. Operating conditions such as repeated shock, high and continued vibration do not affect the filter case or the secure seating of its internal parts and filter media. Designed for 150 psi working pressure and flow capacities consistent with bypass or full flow applications up to 400 gpm utilizing 6”diameter x 18” length elements. VKS-2 series vessels are of all steel ASME construction designed for in-line applications requiring rugged construction and long term durability. Operating conditions such as repeated shock, high and continued vibration do not affect the filter case or the secure seating of its internal parts and filter media. Designed for 150 psi working pressure and flow capacities consistent with bypass or full flow applications up to 800 gpm utilizing 6”diameter x 36” length elements. Fluid Filter Assembly – 1-1/2″ NPT inlet/outlet, 200 psig maximum operating pressure, aluminum construction. Assembly accepts 6″ O.D. x 18″L x 2-5/8″ I.D. elements (sold separately). Fluid Filter Assembly – 1-1/2″ NPT inlet/outlet, 200 psig maximum operating pressure, aluminum construction. Assembly accepts 6″ O.D. x 36″L x 2-5/8″ I.D. elements (sold separately).